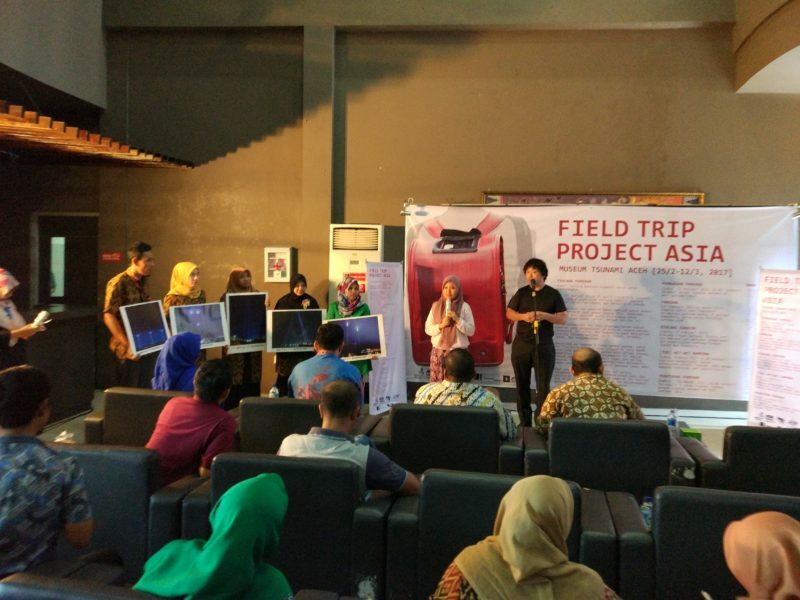 The Field Trip Project Asia Exhibition is held for two weeks from February, 25th to March, 3rd 2017 in Banda Aceh. This exhibition is an invitation for Acehnese people to recollect the personal or collective memory on disaster event in the past by exposed with some artistic objects, formed as “randoseru”, made by several artist from across the world. 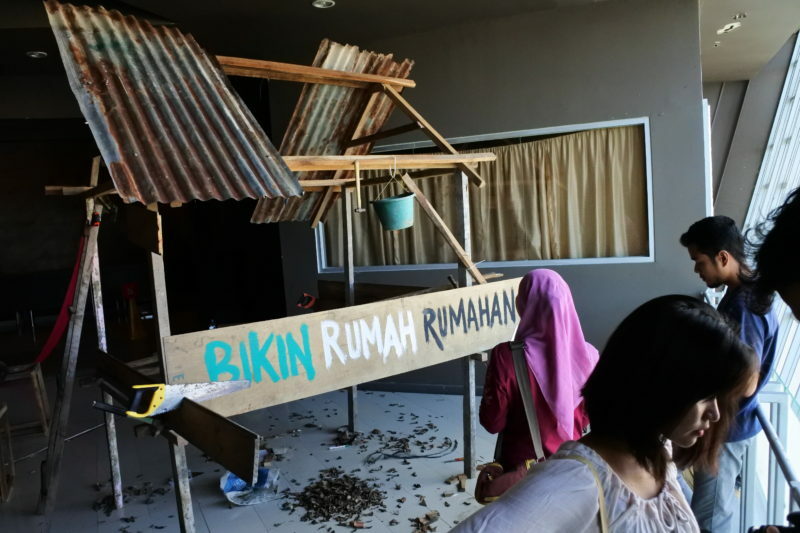 Located in the iconic architectural building of Aceh Tsunami Museum, this contemporary exhibition is also a space to reflect, share, and communicate some raising issues after the disaster event. 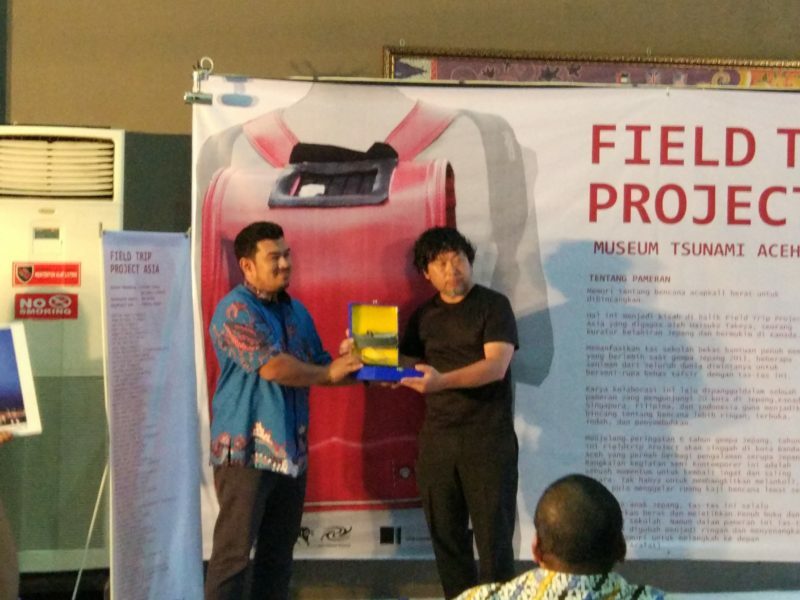 At Aceh Tsunami Museum on March 11, 2016, the remembrance ceremony was held to commemorate the Great East Japan Earth and Tsunami disaster happened in 2011. 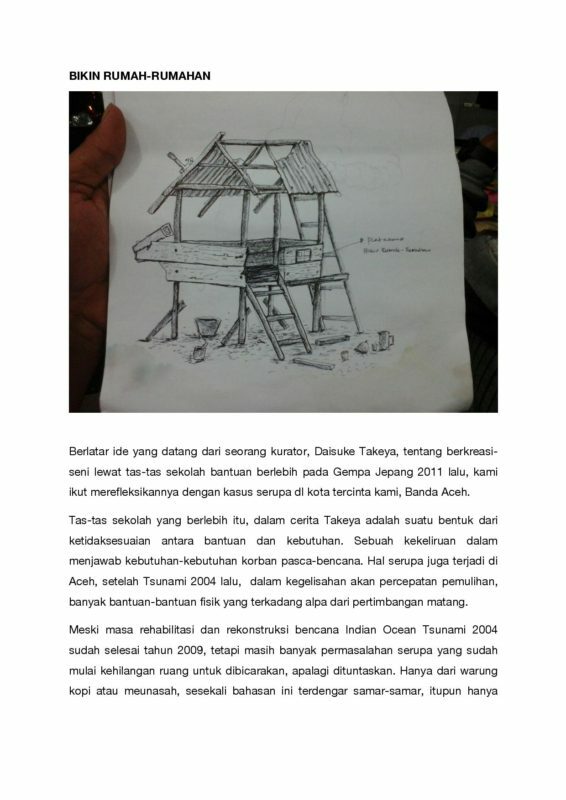 Posters from Light from Kesennuma 311 was given as a gift to Aceh Tsunami Museum. Light from Kesennuma 311 is the project to erect three pillars of light into the sky on March 11 every year in the city of Kesennuma, one of the most devastated areas of the disaster. 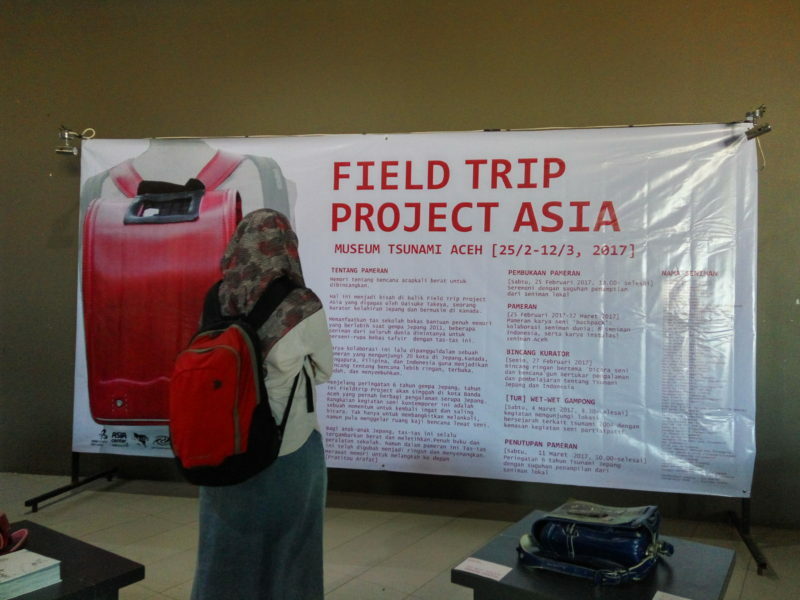 In return, Aceh Tsunami Museum has given a memorial plate top Field Trip Project Asia.